1. Scrub and trim mussels. Discard any that are open. 2. In a Dutch oven, melt butter over medium heat. Cook garlic and shallots without coloring. Add wine and reduce by half. 3. Add mussels, cream and parsley. Cover and cook until mussels open (about 5 minutes). 4. Discard any that do not open. 5. 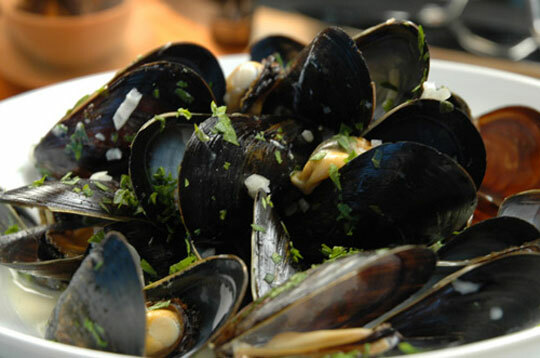 Place mussels in a bowl and pour sauce over them. Serve with crusty bread.